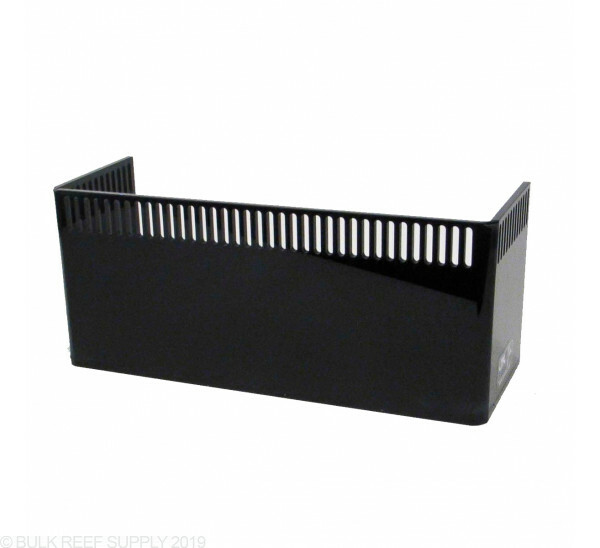 An overflow box is a great way to keep the water level at a constant in your saltwater aquarium as well as increase the rate at which surface water, and the film and dust with it, is removed. 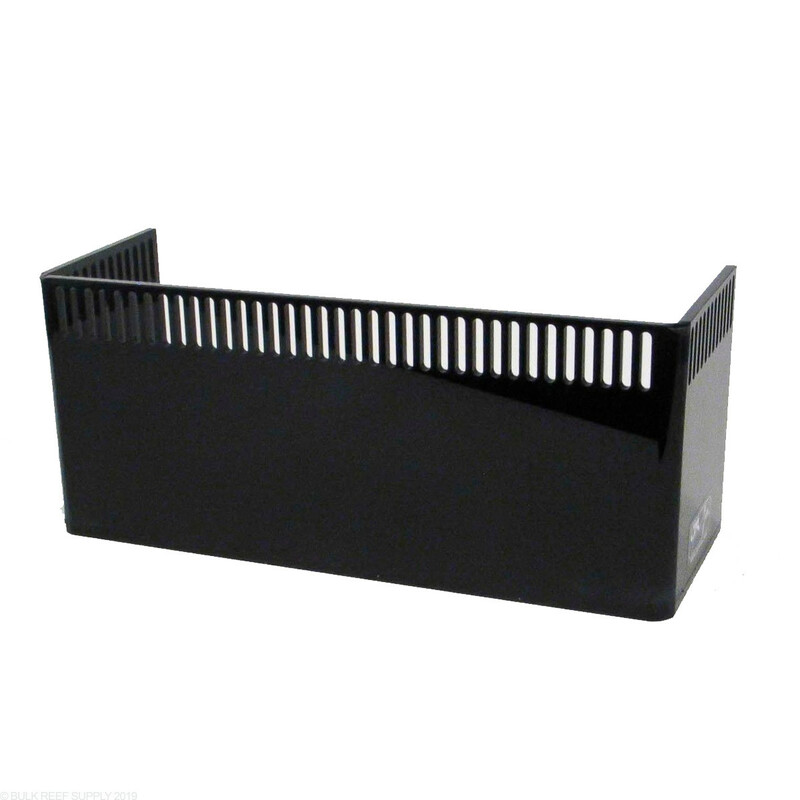 CPR Aquatics are high quality, black acrylic and built in the USA. Install by using aquarium silicone. We suggest using a silicone color that matches the existing silicone in your tank. When choosing an overflow we suggest using the largest overflow box that will fit your tank. It is impossible to oversize an overflow. Works great, i have the rs12 on a 125g tank and it’s fine. I also wanted a lower 4 times turn over. If your looking for more flow it would probably be wise to go up a size. As far as construction it’s strong enough to do its job and mine has been in use for about 2 months now. Purchased this overflow only to find the material very flimsy. The sides bow inward from the water pressure pushing in from the exterior of the overflow causing silicone seals to repeatedly fail. For the money I expected better quality! I have had mine for 3 years now. It works great. Plastic thickness is just fine. Installed easy. Just make sure you get the right size for the flow rate you want. Go next size bigger and save yourself the BS from BRS. I don't know how they rate by tank size but GPh would be more helpful. My pump puts out about 6x tank volume per hour and the overflow could not keep up. Had to drain tank rip it out and did a coast to coast overflow out of glass. If going with a high flow sump order 1-2 sizes up. Overflow arrived with several teeth broken at the top where they were attached. I'm returning and buying something made from thicker plastic. I ended up having to return for the next size larger. The cut out teeth seem to minimize the amount of water the overflow can handle. Just plan to go a size larger and you should be fine. I bought the RSS12 for my 75 gallon SPS Reef tank along with a Mag12 (1200 gph) return pump. With a 5 foot head the pump is probably pushing around 900-1000 gph. It was obvious right off the bat that the overflow could not handle the flow. I would recommend buying one size up to compensate for the calculation flaw. I also wanted to address some of the negative reviews I read on these overflow boxes. The material is not completely rigid but strong enough. I have only had my hands on the Medium size so this may be more of a problem with the larger sizes. I purchased the Small overflow for my build. It went on easy and looks great. Wishing i went a little bigger, but i'm excited for the way it will work compared to the HOB overflow i have been using. Not exactly sure about the above reviews. If you will notice, they are all posted on the same day. I ordered this (RSS12) because everything else was out of stock and thought i would take a chance. I am more than happy. It is 3/8" thick black acrylic, not flimsy at all. Nice quality. So im gonna setup a new tank and want to run dual overflow on a 200 gallon setup, would i go with the 2 rss12's ? Great question! For enough room to work with plumbing fittings we definitely recommend the larger RSS 12's this will allow you to plumb any style system. As long as your overflow box is large enough to hold your drain pipe pick the largest which will allow for most room. The physical pipe diameter plays a larger role in restriction and as long as 1" pipe is used it can handle up to 600 GPH flow. What size goes with the 700 overflow lid? The 700 lid measures 3"x3" and we do not currently stock an overflow box that size. Our smallest overflow box is the RSS05. Its measurements are - 6 3/8" L x 2 3/8" W x 3 5/8" H. The RSS05DX is very similar but it has a back on the overflox - 6 3/8" L x 2 5/8" W x 3 5/8" H.